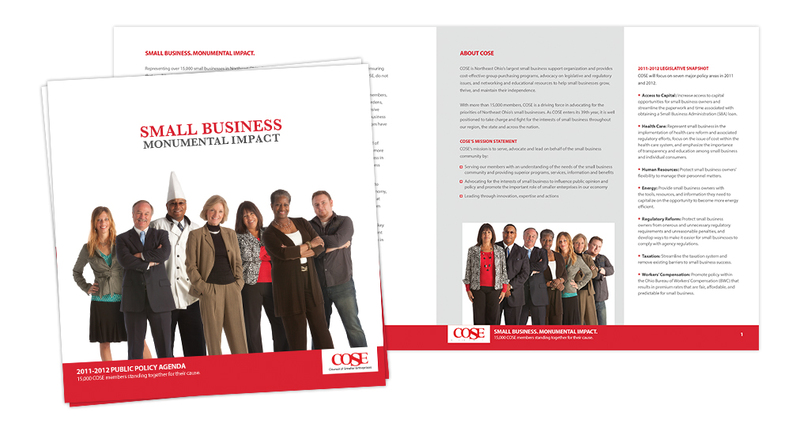 For several years now, Quez Media has been the creative force behind both the COSE Advocacy campaign and the Weatherhead 100 Awards. 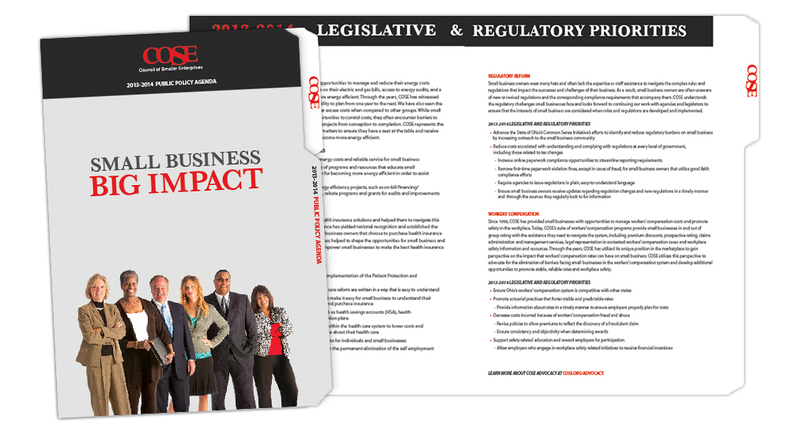 The advocacy campaign is built around business owners, which have been represented in these pieces by a series of real business owners that were generous enough to volunteer their time to the cause. Each member took part in an individual photo shoot that was directed by Quez Media, and these individual shots have been used across multiple platforms year after year, kept fresh thanks to a series of different poses and outfits worn during the original shoot, and as a result of photo editing that allows for different grouping of the individual photos. 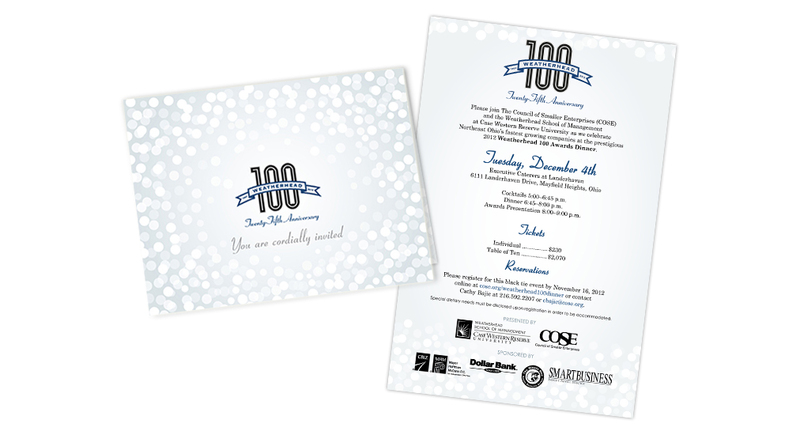 Annually, Quez Media modifies the Weatherhead 100 logo and designs the corresponding invitations, mailers, and collateral.